This Cork Board Fits in Limited Spaces! 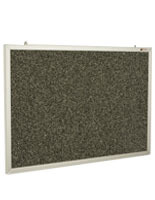 This Cork Board Will Be Your Company's Notice Board! 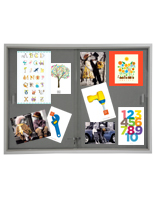 See All Framed Display Boards at CorkBoards2Go.com! 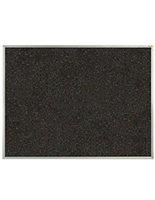 These cork boards are the message boards most people requisition, known as a result of their 100% recycled rubber surface. 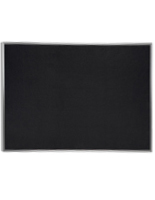 These cork boards, for example message boards or wall-mounted bulletin boards, are made with a rugged aluminum frame to last for years. 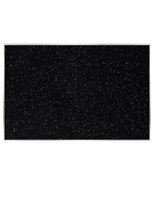 These blue-speckled cork boards are resistant to mildew, moisture and fading. The blue-speckled, rubber surface will not show push pin holes, and, known as a result, will stand up to being utilized and reused for years to come. The essential mounting hardware is already attached to the back of the board, permitting you to begin posting inside minutes! 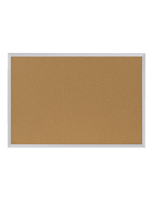 These cork boards boards are prevalent in offices, firms, banks, corporations, and hospitals. Also, the cork boards are usually seen in schools and universities. 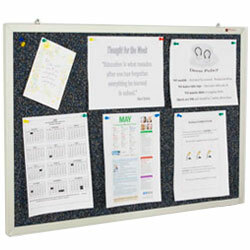 These notice boards, cork boards or message centers are outstanding for posting events, news, reminders, schedules and anything else you can think of. The cork boards are an amazing method to maintain your community "in the know".